WHITEHORSE, YK – Winterlong Brewing has announced the release of this year’s editions of two beers named after the ships used in the ill-fated Franklin Expedition of 1845. 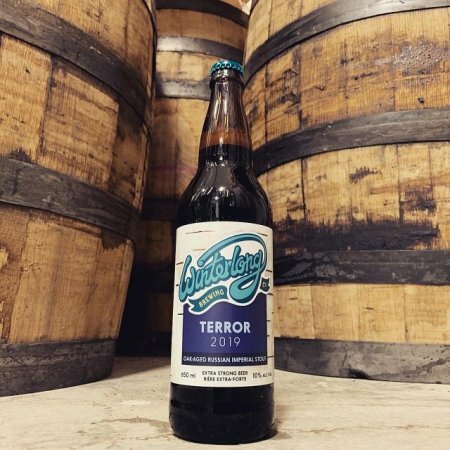 Terror (10% abv) is an Oak-Aged Russian Imperial Stout described as “lusciously smooth with notes of dark chocolate, roast, molasses, toffee, vanilla and toasted oak.” It was packaged last week in 650 ml bottles that are available now at the brewery, and soon at Yukon Liquor Stores. Erebus is the un-oaked version of the same beer, and will be available in the same format later this month. For more information, see the full announcement which also has early details on several other upcoming barrel-aged beers from Winterlong.